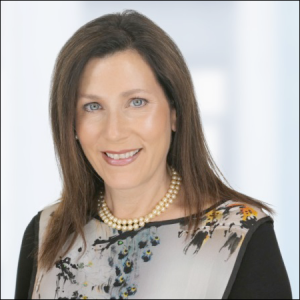 Carlsbad, CA (June 19, 2017) – SynergEyes, Inc., the worldwide leader in hybrid contact lens technology, is pleased to announce that industry veteran, Louise Sclafani, OD, FAAO is joining SynergEyes as Vice President of Professional Affairs. In this position, Dr. Sclafani will be responsible for working with thought leaders and professionals in the ECP global eye care professional community to develop strategies and programs that will increase the company’s value within the profession. Earlier in 2017, SynergEyes expanded its specialty contact lens portfolio from exclusively hybrid contact lenses to now include scleral and corneal gas permeable contact lenses. Dr. Sclafani is an alumnus of ICO and has spent the past twenty four years at the University of Chicago where she was an Associate Professor of Ophthalmology and Director of Optometric Services. Her clinical interests include contact lenses, corneal disease, emergency eye care, dry eye and surgery co-management. She was awarded the status of Diplomate by the American Academy of Optometry in the Cornea and Contact Lens and Refractive Technology section and is an international lecturer on these topics. She is the recipient of teaching awards from the University of Chicago and the Illinois College of Optometry. Her excellence in optometry was recognized by receiving the Illinois Optometric Association Optometrist of the Year and the AOA Legends Award. Dr. Sclafani’s leadership and advocacy roles for optometry include serving as Chair of the CLCS of the AOA, President of the IOA and President of Women of Vision. She is a frequent contributing author for numerous publications including Review of Contact Lenses, Contact Lens Spectrum, and Primary Care Optometry News. Dr. Sclafani will be working from Chicago and will continue to be active in private practice and training future eye care professionals.